Many travelers talk about Budapest’s “faded beauty,” which is present in its multi-story buildings that have lacked continuous renovation or recent restoration. Several architectural styles are represented. For example, the Parliament Building is an elegant example of Neo-Gothic architecture, while Budapest’s Art Nouveau examples add to its turn-of-the-century charm. If you like Hungarian food (or any other type of food, for that matter), Budapest offers the opportunity to feast. Try goulash soup and other traditional national dishes. Also, don’t forget about Hungarian wine and spirits. Palinka is the fruit brandy raved about by Hungarians and produced in a variety of flavors. If you prefer wine, then the variants from the wine regions surrounding Budapest, offered in restaurants, pubs, and wine bars will keep your taste buds occupied. Budapest hosts an array of festivals throughout the year, from festivals celebrating traditional food and drink, to music festivals, cultural festivals, film festivals, and more. The Summer Festival acts as a significant attraction during the hottest months of the year, while a Christmas market sees visits from Santa Claus and holiday decorations, food, and gifts. Hungary knows how to capitalize on its beautiful, colorful handmade and traditional products. Hungarian embroidery is one of the most popular souvenirs with its colorful flowers on a plain background. But visitors frequently leave Hungary with bags full of paprika, porcelain, marzipan, fashion accessories, or artisan jewelry. Budapest's top sights are truly impressive. From the lavish interior of the State Opera House to the restrained gaudiness of the Parliament Building, to the grandeur of St. Stephan’s Basilica, to the whimsical and elegant Art Nouveau structures, even on a rainy day, Budapest can offer spectacular photo opportunities. If you’re in need of relaxation but can’t combine your trip to the city with a stay in a spa town, consider a visit to one of Budapest’s multiple thermal baths. These baths have a long-established tradition, and many offer additional services, such as massage and wellness treatments. Budapest is steeped in history, and it can be felt from the first moment. 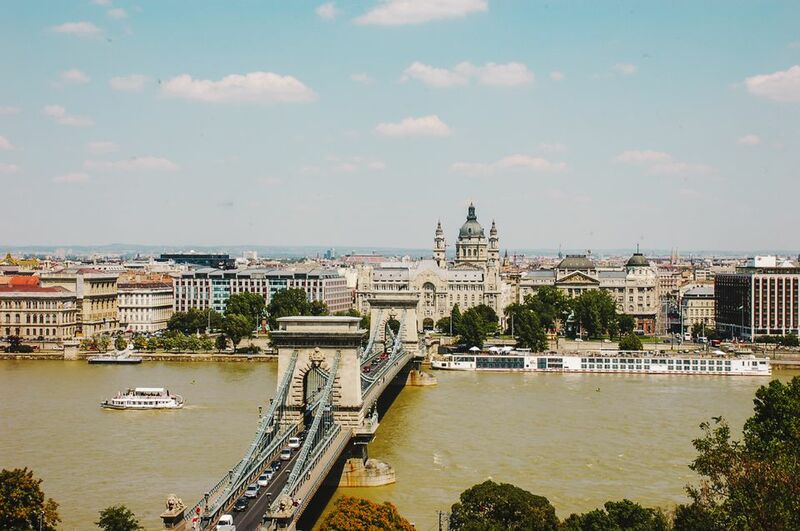 This sprawling city has several centers, and Buda and Pest (which were joined to form the contemporary city) each have innumerable stories to tell. You can visit Roman ruins, the top of Castle Hill, or Jewish District to get a feel for the history of the area and its people. Or while away a few hours in one of Budapest's historic cafes. Budapest, protected by mountains, offers fine weather even when other parts of Europe are less pleasant. The temperature here is warmer, precipitation milder. Though Budapest can be hot in the summer, in the shoulder seasons it is pleasant and enjoyable—especially if you’re visiting from someplace that is typically colder! Hungary is not the cheapest destination in Eastern Europe, but it also doesn’t boast Western European prices. Enjoy good food and drink, entrance into attractions, and room and board for affordable prices that will allow you to maximize your budget for the best experience. Hungary’s other regions can be visited on a day trip from Budapest. For example, Lake Balaton is only about an hour’s drive south of the capital. You can visit wine regions, small villages, castles, parks, and other attractions while maintaining a base in the capital city.